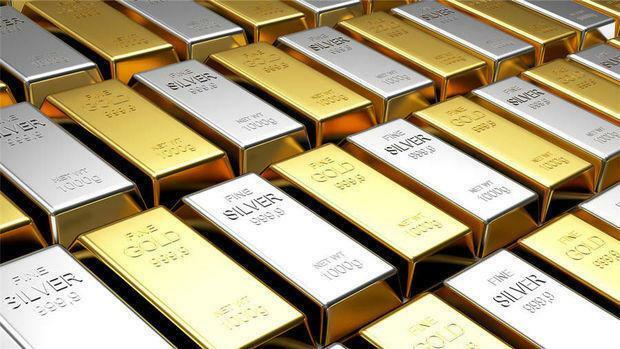 Precious metal prices decreased in Azerbaijan on April 15 compare to April 12, Trend reports citing the data published by the country's Central Bank. The price of gold decreased by 5.984 manats to 2,191.9715 manats per ounce in the country on April 15 compared to the price on April 12. The price of silver decreased by 0.0263 manats to 25.4468 manats per ounce. The price of platinum decreased by 6.5705 manats to 1,513.3995 manats in the country. The price of palladium decreased by 4.6155 manats to 2,329.986 manats. Troy ounce is a unit of mass equal to 31.1034768 grams.